A ring goes missing and Inspector Stone has to work out who took it. Join him as he explains some wedding vocabulary and tries to solve the mystery. 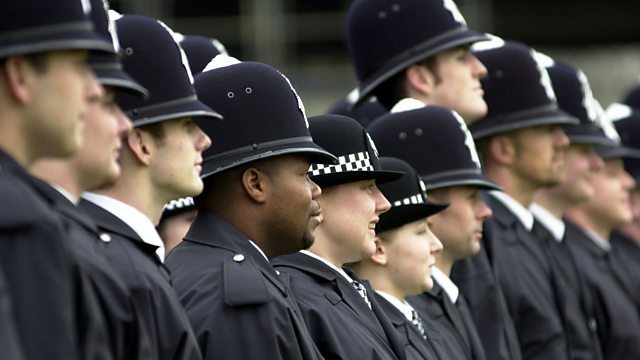 They might do the same job but many jobs have different titles depending on whether a man or a woman is doing it - such as policeman and policewoman or actor and actress. In 6 Minute Vocabulary Rob and Catherine talk about some other examples as well as titles that can be same for both men and women. Hi! Welcome to 6 Minute Vocabulary. My name is Catherine, and I'm here with Rob. Hello everyone. Today we're going to be talking about different words for jobs, and especially how those words change depending on whether a man or a woman is doing the job. Yes, and listen carefully because we're going to give you a quick quiz. And then you'll get a tip to help with your vocabulary learning. Right, so let's get started! First we're going to listen to listen to Joe, talking about how he met his girlfriend, Judith. While you listen, here's a question for you to think about: what is Judith's job now? Listen carefully! Well, I used to be an actor, and I met Judith at work. We were doing a play about a policeman, who falls in love with a waitress. I played the policeman, and Judith played the waitress – and sure enough, we fell in love! Later, I quit acting, and now I'm a businessman. But Judith has a successful acting career – right now, she's on a film shoot: she's playing a firefighter! So, the question was: what is Judith's job now? And the answer is, Judith is an actress. Right now, she's making a film. The first job that Joe mentioned was actor. Now, this is one of those jobs where the word changes, depending on whether a man or a woman is doing the job. So, we say that a man is an actor, but a woman is an actress. That's right. When Joe met Judith, she was playing a waitress. Again, we can say a man is a waiter, and a woman is a waitress. Yeah, so we've got actor, actress; waiter, waitress. You can hear the pattern, can't you? We were doing a play about a policeman, who falls in love with a waitress. Right, so Joe was playing a policeman, and we say that a man is a policeman, and a woman is a policewoman. Now, Joe is a businessman because he's a man. But for a woman, we can say businesswoman. Yeah, so policeman, policewoman; businessman, businesswoman. Easy, isn't it? But Judith has a successful acting career – right now, she's on a film shoot: she's playing a firefighter! OK, so Judith is playing a firefighter. But wait, hold on a minute Catherine, there's something strange about that word, firefighter. Yes, Indeed. A waiter is a man, and a policewoman is a woman. What about a firefighter? Man or woman? What is it? Well, in fact, the word firefighter is the same for a man or a woman. More and more, in modern English, people prefer to use words for jobs which are the same for both sexes. They do. For example, some people prefer not to use the word actress. They just like to use the word actor for a man or a woman. And instead of policeman or policewoman, we can say police officer. That's good for a man or a woman, too. And that's why we say firefighter. We don't say fireman, firewoman, we just use firefighter these days for everyone. …and job words that are the same for both men and women. Those are my preferred options, what about you Rob? I think it's easier and less complicated, yes, to use those sort of generic words. Like presenter. Not 'presenteress' or anything like that. Flight attendants. And instead of a chairman or a chairwoman in charge of a formal meeting, these days we often hear the word chairperson. Right, so now it's time to see how much you can remember. And we've got three quiz questions for you. Number one: if the word for a man is businessman,what's the word for a woman? And the answer is businesswoman. Second, if the word for a woman is waitress, what's the word for a man? Waiter! Right, and just one more question: if a man can be a policeman, and a woman can be a policewoman, what's the word that's equally good for a man or a woman? It's police officer! Did you get all those right? Well done if you did! And before we go, here's a top tip to help you learn your vocabulary more effectively. When you're out and about, walking down the street, or sitting on the bus, notice the people you see, and say the words for them to yourself in English - like waitress or police officer. You can download 6 Minute Vocabulary from our Unit 18 downloads page (size: 5.57MB). You can also subscribe to the podcast version. That's the end of Session 1. Now you've met Inspector Stone and you can follow his investigation into the case of the missing ring in the next unit. You'll also find out more about asking subject-object questions and how to use them. See you there.